Devido as novas regras do Paypal para contas brasileiras, clique no botao comprar junto a bandeira ao lado para efetuar a compra em Reais. 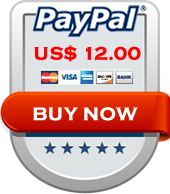 All the activation proccess is online, the key is automatically generated and emailed to you by our system as soon as PayPal approves the payment. The quickest way to active your iBlacklist is to download the key directly from the application, its only needed to click on the button download at the register screen. Ps. In order to have your product activated you will need to input the generated key ( 22 characters or 24 for Verizon iPhones ) when purchasing the software. Only with this key the system will be able to generate an activation. If you buy trough the application itself the key will be automatically sent. The migration is free for unlimited devices into the period of 1 year starting from the paypal transaction ID, after this one year period we grant a 50% off discount to active a new device. 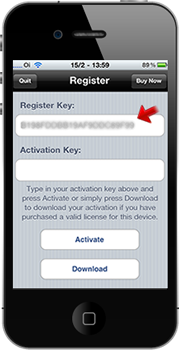 The key is registered to phone serial number (hardware) and If it`s the same iphone (just restored with iTunes) the serial number will be the same and the activation key will work but if you have a new iphone the old key will not work because it is a different serial (hardware) and you need to contact us to migrate your license.